The item Angel, The curse, (electronic resource) represents a specific, individual, material embodiment of a distinct intellectual or artistic creation found in Lawrence Public Library. 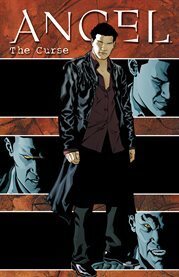 Joss Whedon's classic vampire character returns to comics and IDW's got him! This book, collecting the Angel: The Curse series written by fan-favorite Angel author Jeff Mariotte, will be sure to appeal to fans of Buffy the Vampire Slayer and Angel alike!